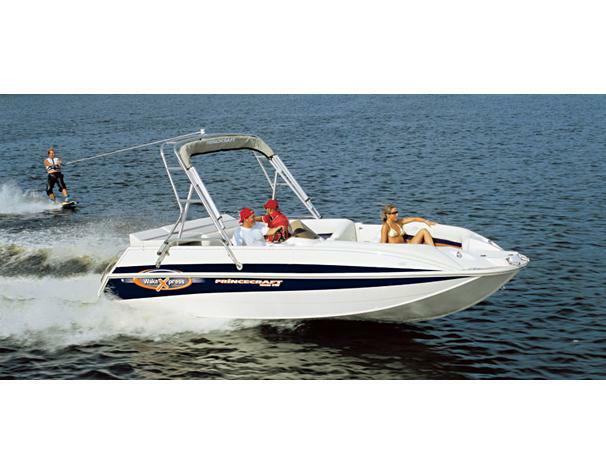 Boat Description The Princecraft Vacanza 210V LP I/O Xpress is a versatile deckboat that can turn water into air. Standard features include an in-dash Faria digital Pilot gauge with speed, clock, water temperature, air temperature, timer, hourmeter, trip log, voltmeter, and depth sounder readouts. The helm is also complete with a full complement of fully-lit Faria silver dome instrumentation. Also included is a pop-up privacy enclosure that can be used as a changing room or head compartment.